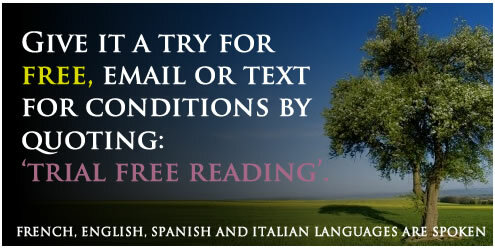 3 Questions - Email reading with Virginia, this can also be done through Facebook Chat , just save me to your contacts list. 20 minutes telephone reading with Virginia, this can also be done through Skype, just save me to your contacts list. 2 Questions Email reading with Virginia, this can also be done through Facebook Chat , just save me to your contacts list.